Complete coverage with parts breakdowns for easy ordering. Parts and Accessories for Huth, Ben Pearson and Bend Pak pipe benders. Brake Lathe parts for Ammco, AccuTurn with parts breakdown. We have automotive lift parts including Rotary, Challenger, Weaver, Gilbarco, Globe, VBM, Bend Pak, Wheeltronic, ALM, Ammco, Benwil, Ben Pearson, Acanus, Hydra Lift, Bear, Maxon, Forward, Force, Gemini, Ford Smith, Direct Lift, Manitowoc, Mohawk, Grand, PMW, Nussbaum, Western, Joyce, and Hunter. We've added Challenger Lift to our product line. Challenger manufactures American made Lifting products right here in Louisville Kentucky including 2 post lifts, 4 post lifts, wheel alignment lifts & in-ground lifts. We've added Esco Equipment to our growing product line. Esco produces high quality equipment for the extreamly heavy duty market. Esco specializes in tire changing and lifting equipment for industrial, and agricultural style heavy duty tires. Motive Products has now been migated to the new server. Motive offers a variety of Brake Bleeders for all different type of cars. Added Rotary Lift to our equipment catalog. 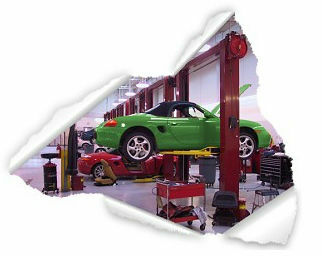 Rotary Lift is very well known as a source for high quality automotive lifting products. If you're looking for a high end American made 2-Post, 4-Post, Wheel Alignment or Inground Lift, Rotary is one of the best.